Paul Merson believes Bournemouth can be a danger to Liverpool on the counter-attack when the sides meet at Anfield on Saturday. The Cherries travel to Merseyside in unpredictable form having followed up their 4-0 thrashing of Chelsea at the end of January with a 2-0 defeat to Cardiff City last time out. Eddie Howe will also be without star players in Callum Wilson and David Brooks as the pair face four weeks on the sidelines with respective injury problems. 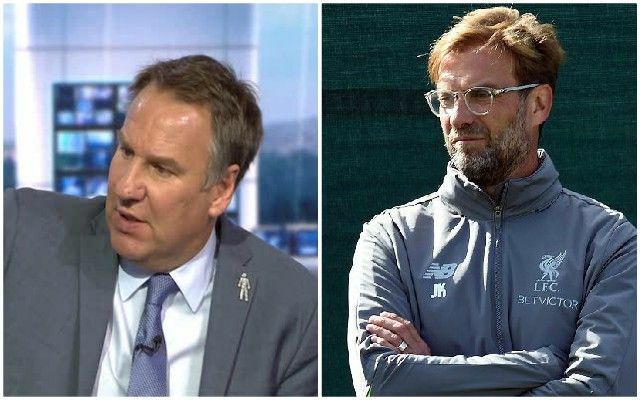 Merson has predicted another tense afternoon for the Reds as they look to restore their three point lead at the top of the Premier League. As with any side that comes to Anfield, Bournemouth won’t be able to flaunt their attacking threat if they are unable to surpass Liverpool’s high press. Whilst Palace earned the plaudits for doing just that, it’s worth noting just how fortunate Roy Hodgson’s men were on several occasions to evade packs of red shirts in hunt of the ball. It remains to be seen whether this is the best or worst time to play Liverpool amid the need for a response to successive draws. Let’s hope it’s the latter.